Player 1 starts with the puck from the face-off circle. Skates forward with the puck and pivots backwards while maintaining control of the puck, around the cone and pivots forward and takes a shot from the hash marks. 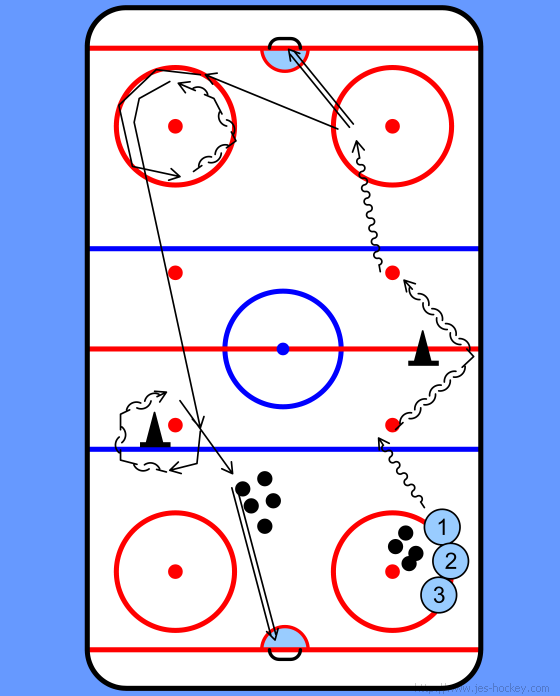 Continues to skate forward around the circle then pivots backwards , then back to forwards and skates to the far off-side circle, does a backwards pivot around the circle. Skates forward and picks up a puck and shoots.